After more than nine years of shuttling back and forth, once or twice a year, to Naga City, yesterday was only the first time I have tried to eat in Geewan. 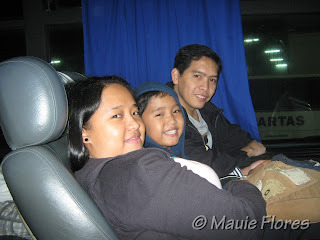 This year, we went home to my husband's hometown with my youngest brother in tow. 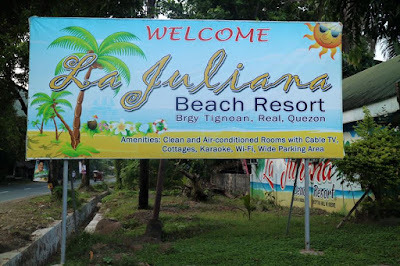 My mother is also a Bicolana but our lineage is from Albay and Sorsogon so it's my brother's first time to stay in Naga City. In an effort to let him experience the difference between these provinces, we went around town and took him to the Centro. I also wanted to try authentic Bicol dishes, aside from the ones that our mother regularly cooks at home, so off to Geewan we went for lunch. My husband shared an interesting trivia about how Geewan's name came to be. Honestly, I thought is sounded a little funny and that one would expect a Bicolano sounding name for a restaurant that serves Bicol dishes. Apparently,when he was still in high school, the place was still called Graceland. It was their favorite hang-out. When the time came for expansion, the people eventually identified the first branch as Graceland 1 or G1 and the two succeeding branches as G2 and G3. 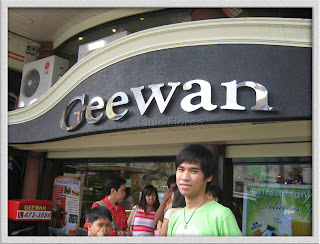 I think Geewan became the most popular among the three because I haven't seen a Geetwo or Geethree store in Naga City to date. Geewan started as Graceland, a modest eatery situated in a rented garage along Elias Angeles Street. It was born out of the entreprenurial spirit of Tyo Peping or Felipe Dy, who was born to poor Chinese immigrant parents. He did odd jobs in Divisoria just to make ends meet before he and his wife, Felicidad, braved the odds towards establishing a business of their own. Armed with borrowed money amounting to ten thousand pesos, they started their humble eatery with only four tables in 1976. Their menu evolved in the '80s to include ice cream, burgers, pizzas, breads and cakes. The business continued to prosper even when known fastfood chains from Manila started to penetrate the local scene in the 90's. What made them survive is the fact that they were able to position themselves as the home of native Bicolano dishes. Geewan is more of a turo-turo experience but with a more classy ambiance than a regular carinderia so don't expect waiters bearing menus. I was able to order all the native Bicolano fare except Igado. Geewan is best known for its Pinangat. 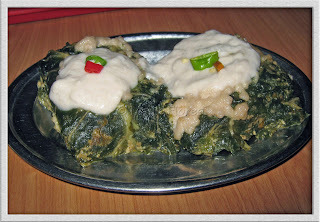 Pinangat is a dish made with minced boyod (freshwater shrimp), ground coconut meat, and spices warpped in natong (taro leaves) and cooked in coconut milk. 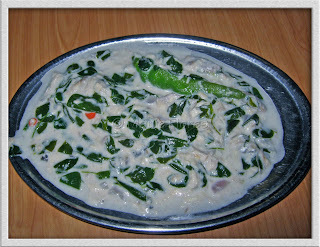 Kinunot is a local dish made with either pagi (stingray meat) or pating (shark meat) cooked with malunggay leaves in coconut milk. 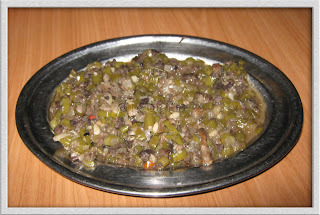 The dish above is called kandinga It is the Bicolano version of bopis, a dish made with pig's kidneys, heart, and liver. Of course, the Bicolano trademark of cooking with coconut milk and vegetables was not forgotten. This time though, the dish used kangkong stalks. 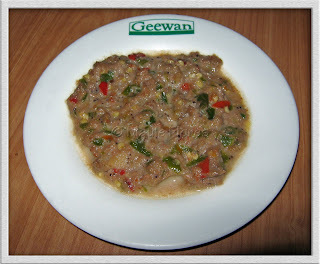 Geewan's Bicol Express is quite different from my mother's version. The ingredients are the same: pork meat, bagoong (shrimp paste), coconut milk, and lots and lots of chilies. My mom's version, though, had bigger and more meat slices than Geewan's. Their version is also milder since my son was able to eat it with little complaint. I guess they made it that way so as not to traumatize the tourists' palates with a super hot Bicol Express. 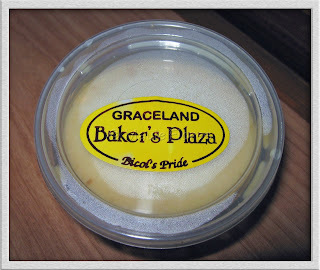 We ordered Leche Flan for dessert because it was strongly recommended by my sister-in-law. I cannot tell you how good it was because I am not allowed to have sweets but the over-all feedback from the others was good. My son even gobbled up his Leche Flan in no time. Geewan can become quite crowded during peak hours. The management has already addressed the need for more space by providing more tables in the second and third floors of the building. I would suggest that they invest in developing the customer service orientation of their staff to make them more accommodating and sensitive to customers' needs. They should also add more members to their staff, too. Also, it would be better if an exclusive secured parking facility will be available for its customers. We had to park a few meters away, in front of PNB, because the parking space in front of the restaurant was only good for two cars. Other than that, my entire Geewan gastronomical experience is good. 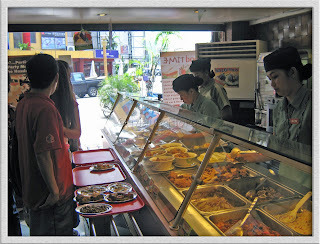 Good food, nice ambiance, and affordable prices, what can be more better than that? Imagine, our entire bill was only Php 956.00 for the nine of us. 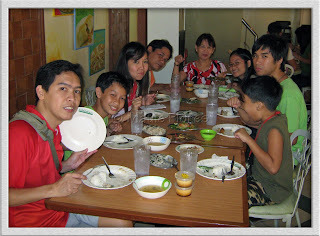 We did not only order the treats above but we also had Chopsuey, Lechon Paksiw, and 5 cups of exta rice. Geewan truly is a must-try especially for the budget travelers. 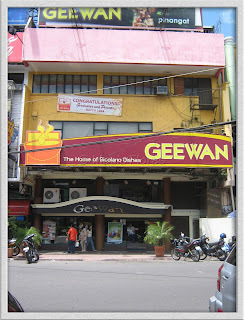 Geewan can be found along P. Burgos St., Naga City.